RV hire giant Apollo will open its first retail sales site in Melbourne after striking a major lease deal in Campbellfield. CBRE’s Amanda Traficante negotiated the three year, 2,156sqm lease in conjunction with Ian C Dungey Property. Apollo operates the largest camper hire rental fleet in Australia and is one of the world’s largest privately owned leisure vehicle operators. The retail arm of the business, Apollo Caravan & RV Sales, will be operating within this location, stocking world-class RV brands Winnebago, Adria and Talvor, bringing with them a range of quality new and used motorhomes, campervans, and caravans. Apollo CEO Luke Trouchet said the group is excited to expand their retail division after the success of their Brisbane and Sydney RV Supercenters. 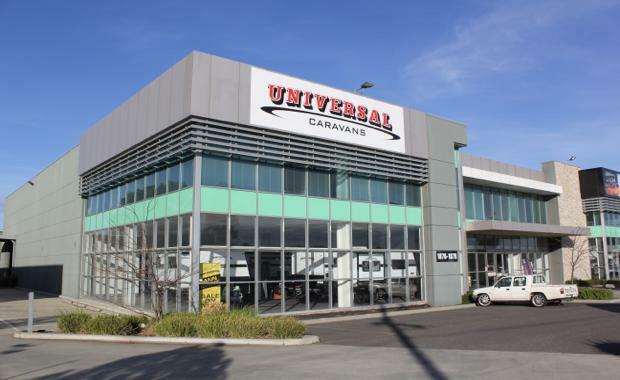 Ms Traficante said Campbellfield was Melbourne’s “caravan mecca”, with Apollo joining major existing tenants Black Series Camper Trailers and Avan Campers Caravans Motorhomes. “The private landlord of 1872 - 1878 Hume Highway, Peter Joss of the Joss Group, was thrilled to secure Apollo on a new lease which commenced immediately after the previous tenant vacated,” Ms Traficante said. “While there are a number of older, secondary assets of this nature in the Campbellfield precinct, there is very limited modern stock. The modern facility feature double roller doors and an impressive showroom fronting Hume Highway, directly across the road from Ford.